Flax Brownies -A Yummy Chewy Brownie Recipe ~ Cake Brownies! 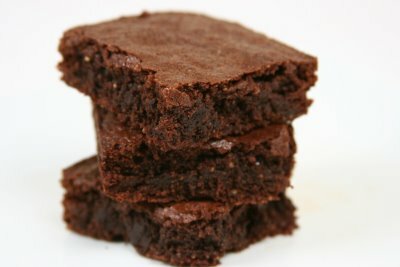 An Easy and Delicious Brownie Recipe! These Flaxseed Brownies are a Chewy Brownie Recipe + are like Cake Brownies. If you love a delicious chocolate brownie, these flaxseed brownies are perfect! The frosting makes them to die for and you better hide the pan of brownies if you dont want any one else to eat them all up! Beat for 10 to 15 minutes to get the sugar halfway dissolved. Beat in the eggs for ~10 to 15 minutes or till you have a creamy mixture. -only stir the batter enough to moisten dry ingredients and stir out lumps. Spread batter into prepared pan. Preheat oven to 350* degrees F (175* degrees C). A toothpick or clean knife stuck in the middle of the Flaxseed Brownies should come out clean when they are done. 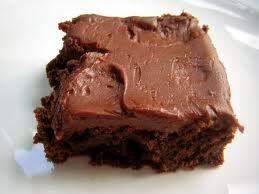 *A little brownie left on the knife or toothpick will be fine, but too much and it is uncooked dough. -Sometimes you can put a knife in at the beginning so you know how much difference there is how much dough is sticking to the knife! Do not over bake or they will be dry. Combine butter, cocoa, honey, vanilla, and confectioners' sugar. Eat and enjoy! Hide them away if you need to... otherwise if your house is anything like ours, they won't last long!